Are you a jet fighter or a helicopter? Why we should lose parenting labels. If anything is relentless, it’s the number of labels used to describe parenting. Yet the word parenting, first cited in the Oxford English Dictionary in 1918, was almost unheard of until the 1970s. “It was then when parents first became absorbed with an increasingly broad range of responsibility for their children’s well-being, happiness, and futures,” said George Mason University professor Peter N. Stearns, author of Anxious Parents: A History of Modern Childrearing in America. Parenting books and labels started flooding the market. We went from Benjamin Spock’s Baby and Child Care in the 1940s which gently assured parents they knew more than they thought, to books that made them question every move they made. According to Austyn Rask, a generational analyst at consulting firm BridgeWorks, “These parents keep their distance, swoop in for emergencies, then fly out.” “Millennials know they get tagged with the negative connotations for being parented like this, and have taken a lot of heat for being protected and guided,” said Jack Mackinnon, who tracks family trends at marketing firm Gartner. “They say they don’t want to do that to their kids.” And that’s the problem with parenting labels. They attempt to define a wide range of complex behaviors in one catchy buzzword. They also are laden with judgments — right, wrong, good, bad — and a heaping serving of guilt. No matter what you label it, the one consistent is that most parents want what’s best for their children. 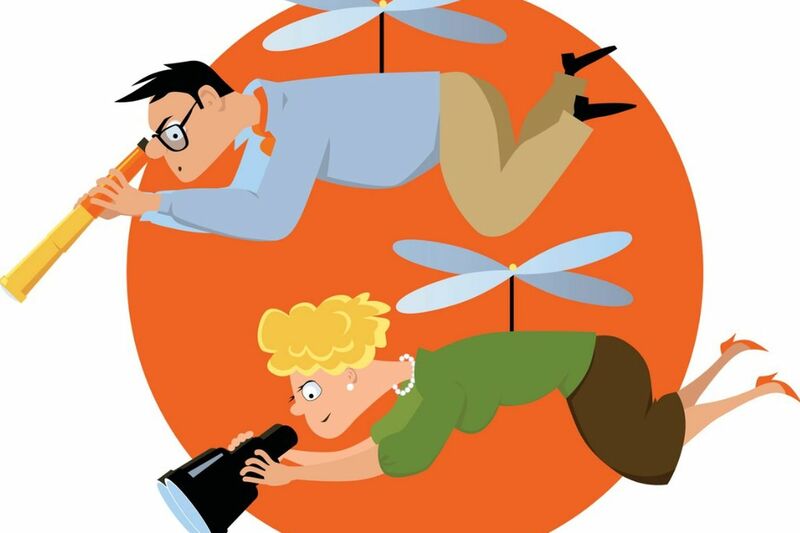 Helicopter parents, so-called for their constant hovering, got such a bad rap, they are supposedly being supplanted by parents who swoop in only when necessary — hence, “jet fighter” parents. It seems everyone with a book to sell or the desire to make it onto the morning news shows comes up with a new parenting label. We’re continually bombarded with names such as lawn mower, tiger, elephant (the opposite of tiger), snowplow, and relentless. If anything is relentless, it’s the number of labels used to describe parenting. Yet the word parenting, first cited in the Oxford English Dictionary in 1918, was almost unheard of until the 1970s. “It was then when parents first became absorbed with an increasingly broad range of responsibility for their children’s well-being, happiness, and futures,” said George Mason University professor Peter N. Stearns, author of Anxious Parents: A History of Modern Childrearing in America.